You’ve just got engaged – congratulations! 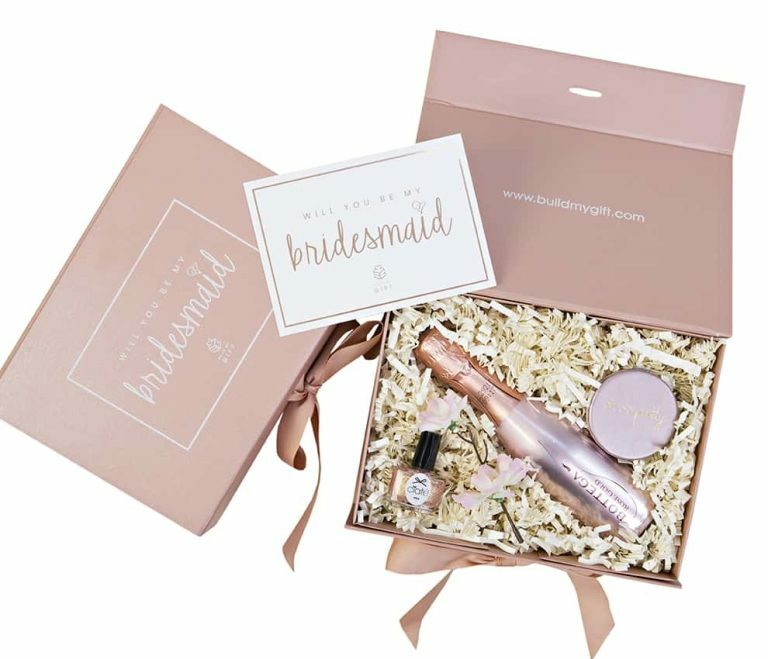 Now it’s your turn to pop the all-important question and to help make it easy to propose to your Bridesmaid’s we have several expertly curated pre-built gifts, or you can build your own bespoke bridesmaid box. We have an array of products that you can choose from to fit your wedding theme or design different gifts to suit each of your girls! 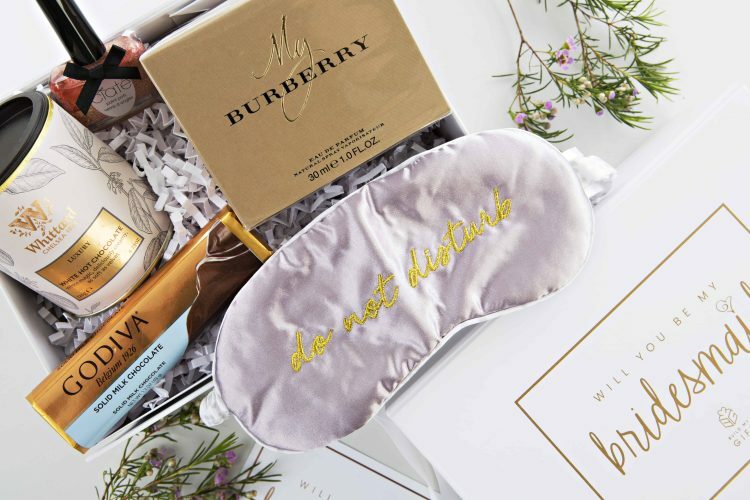 The sky really is the limit, but if you’re feeling a little overwhelmed by all the excitement of your upcoming nuptials, to save you some time, we’ve put together a list of our top gifts to inspire you to build a gift that will culminate all those years of friendship in a box! It is a party after all so celebrate with a mini bottle of champagne or prosecco! 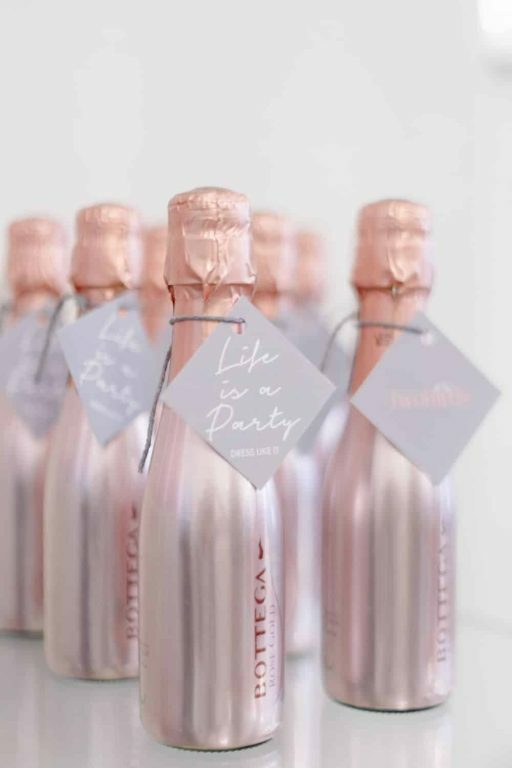 These Bottega Rose Gold Prosecco bottles are the perfect way to toast the celebrations with your bridesmaids. Gift them a piece of jewellery to wear on the wedding day. 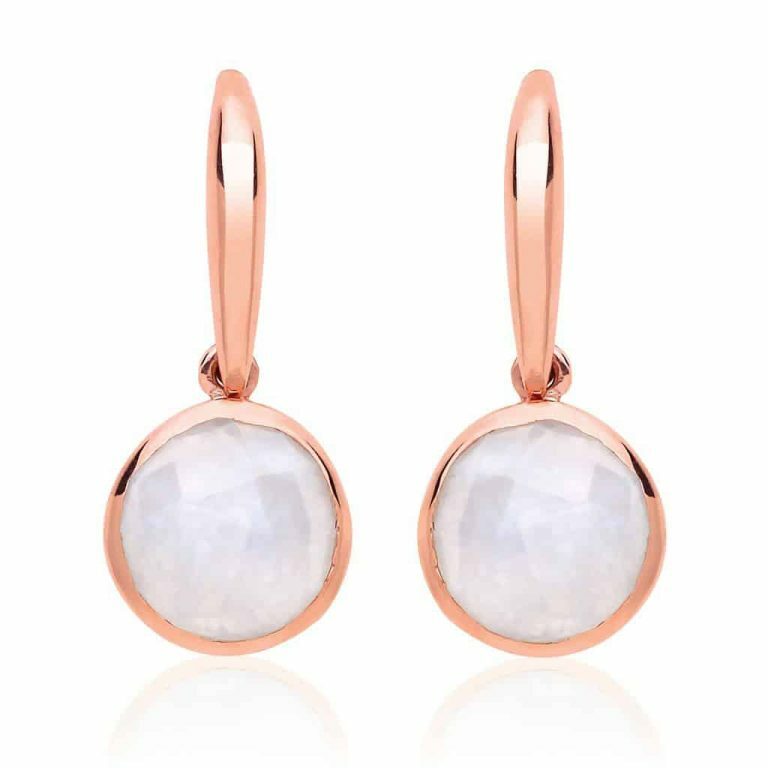 The Estella Bartlett Gemstone range is beautifully delicate and a perfect way to complement their dresses. Who would say no to a box of delicious chocolates? 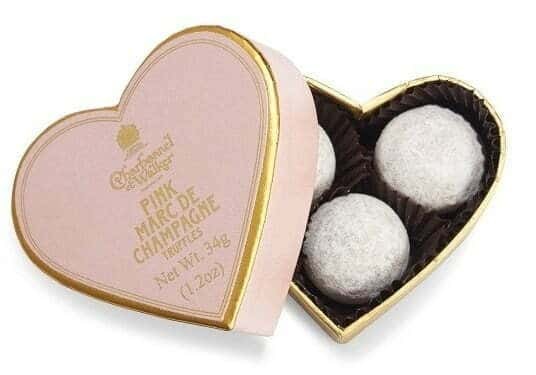 Charbonnel et Walker’s Pink Truffle Heart is a cute addition to any gift box to send some love. After a day of dress shopping, a bit of Bridesmaid pampering will be welcomed by lighting a relaxing candle. 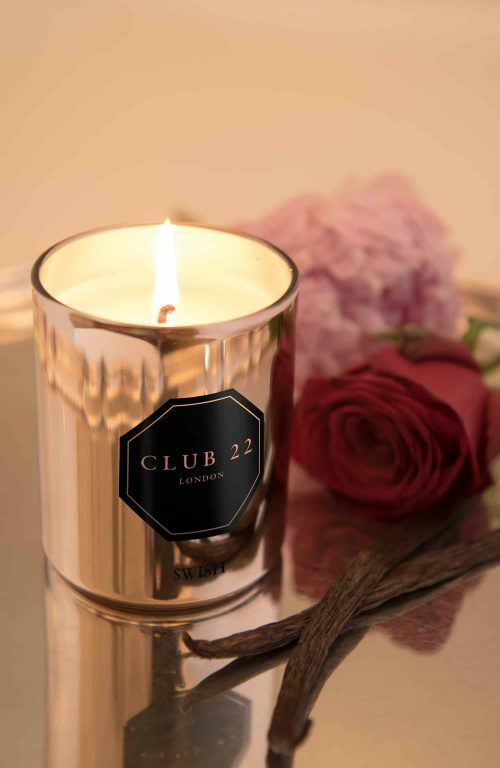 Our recommendation, Club 22 Rouge, not only does it ooze of luxury with its rose gold jar, it’s rose scent is divine! 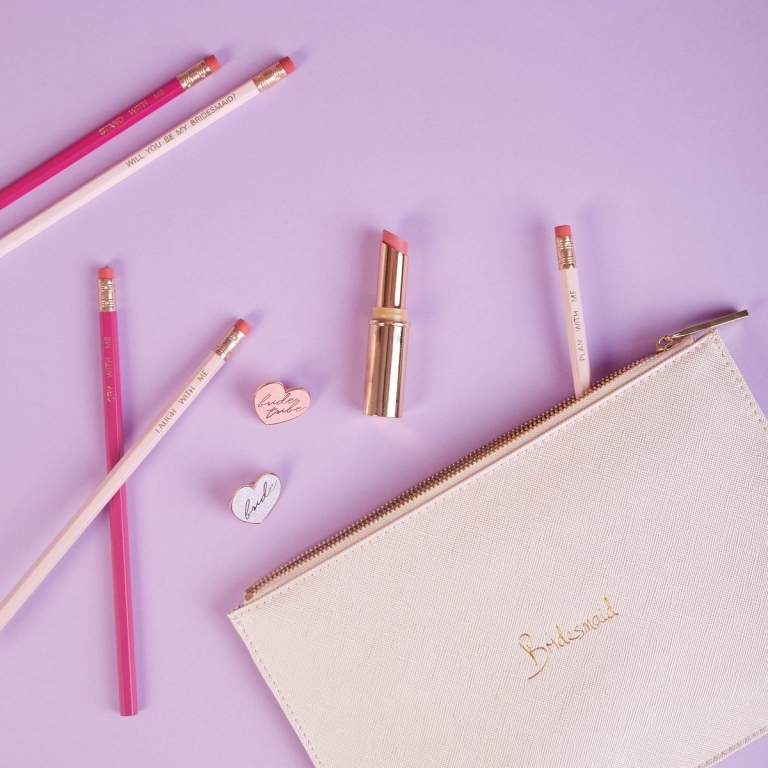 Us ladies love receiving a few new cosmetics which is why gifting your Bridesmaids a lip gloss or nail varnish is a cute idea. 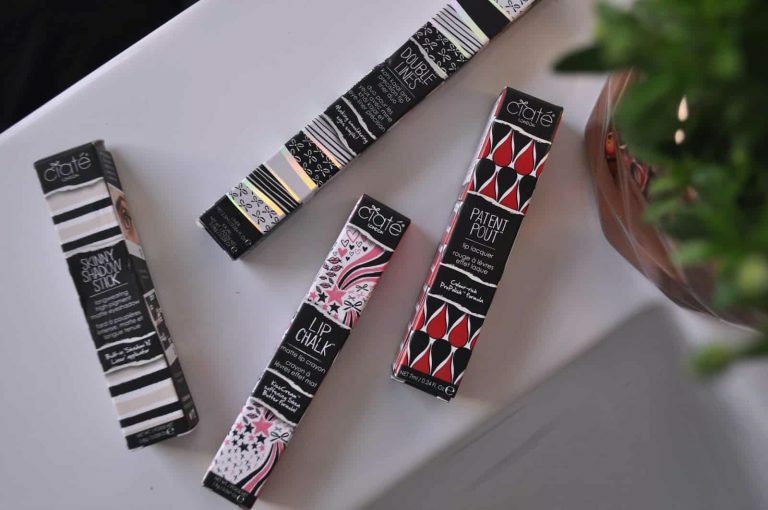 We suggest Ciate’s range of lip chalks which they can easily carry with them on the big day too! Consider gifting your Bridesmaids the ultimate wedding accessory to have on their arms. These Katie Loxton pouches can be carried on the big day and then used to hold all their memorabilia from the planning process. 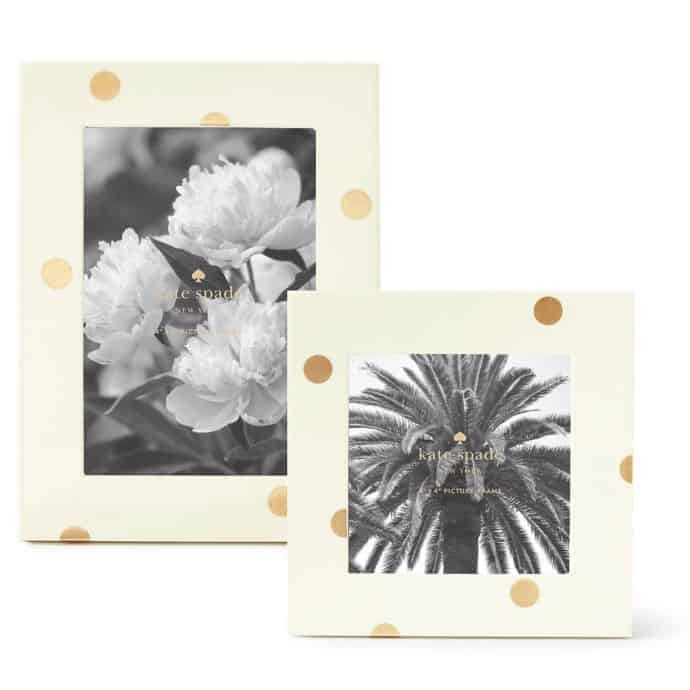 Select one of our frames and to add that personal touch, send us your favourite photo of you and your Bridesmaids and we’ll take care of the rest! We’ve got the prettiest rose gold ‘Will You Be My Bridesmaid?’ cards which are all handwritten to top off your gifts. Let us know the sweet and sentimental message you’d like included… we recommend adding a few anecdotes or past stories to make every message individual and the proposal more heartfelt! Speaking from personal experience, the transition from Miss to Mrs is an emotional one and you will need your girls for all the support you can get. You don’t need to spend a fortune and a small token to treat your Bridesmaids will go a long way because we’re sure they deserve it! Keep it chic, personal and touching, we’ll take care of all the finer details to ensure they’ll love it!